Happy February bookaholics! Or should I say the month of lllloooovvvveeee?? I thought to kick things off with a tag (i haven't done one in forever!) and my OTP's. 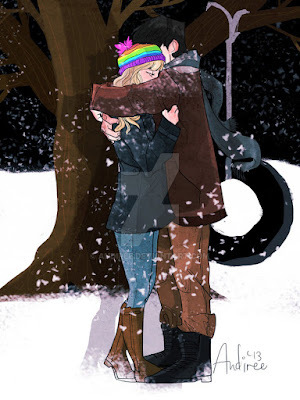 I also have a good excuse to share of wonderful fanart. Enjoy! Here's where I found this tag. I don't think Cristina is the original owner though. But onward! The biggest OTP in the Tiger's Curse fandom is Kelsey (the main character) and Ren. 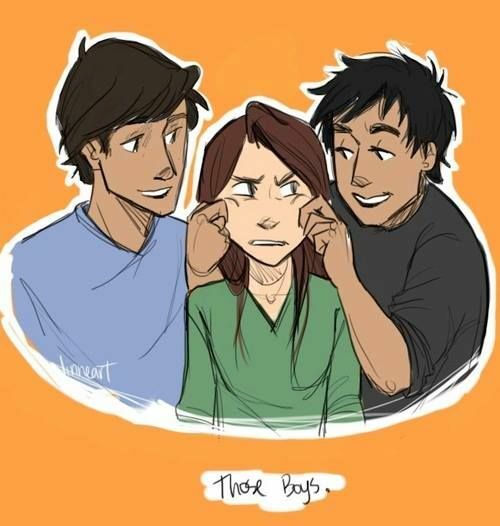 In the first book, I did ship Kelsey and Ren but I'm now reading the third book in the series (Tiger's Voyage) and finding Ren to be very possessive of Kelsey and rude. So I'm now shipping Kelsey and Kishan (Ren's brother) .. my unpopular opinion I guess. Also, yes, it's a love triangle. Honestly, this whole series is just giving me a headache so don't count on my opinion haha. I'm actually really hesitant about sharing this but hey, I'm going to be truthful. 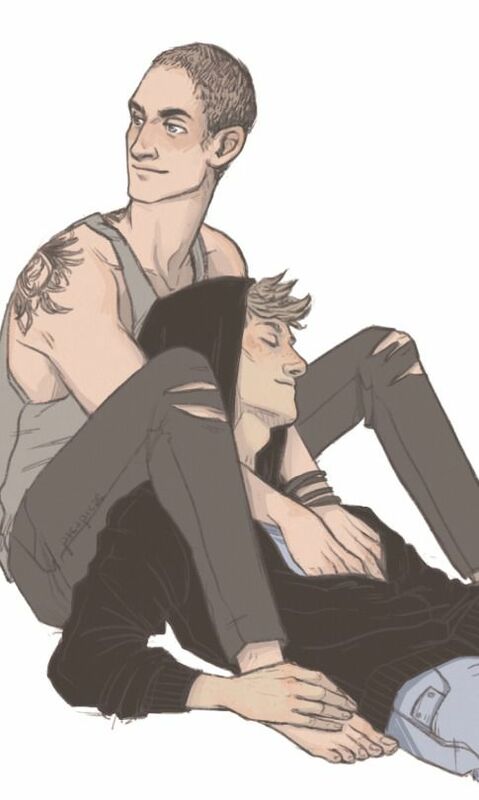 I didn't ship pynch (Ronan and Adam from the Raven Cycle) for a while. Me, one of the biggest Raven Cycle fans ever, yet I didn't ship the biggest OTP. I'm mortified right now everybody. I don't even know why I didn't ship Ronan and Adam back then .. they clicked so well?! I was so ignorant. I can now tell you that I do, happily, ship pynch and I'm going about my business a-ok. Cheating a little bit here but, I need to talk about this OTP. So, apparently, people ship Percival Graves and Credence Barebone from Fantastic Beasts and Where to Find Them. I am so disgusted with this ship! If you saw the movie, you would of saw Percival using Credence (for his evil plans) and abusing him. Turning this toxic relationship into a romantic one is so terrible. Credence doesn't need to lean on or gather comfort from Percival. Yes, I'm pretty upset over this fictional ship but what really upsets me is what it's representing. People actually get stuck in these toxic relationships and they're not living their "happily ever after". I can't believe that people think this is okay. Definitely Cress and Thorne from the Lunar Chronicles. I did love how their relationship wasn't rushed but some parts were like "come on you two! just kiss!". I never did lose hope for this OTP though. I feel like Albus and Scorpius from the Cursed Child own this one. These two had so much potential to go forward, together! I'm still bitter about their ending but in my heart (and head), these two are living their days together. 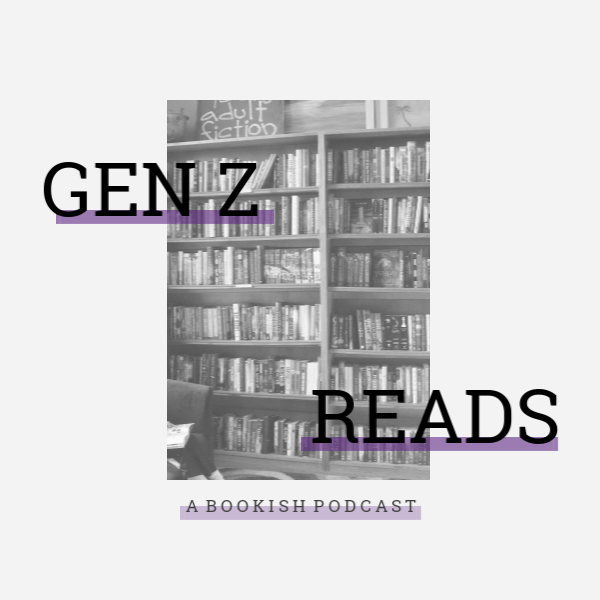 The Dregs (from Six of Crows) for sure. This murderous gang gives me life. Ok - that doesn't make much sense .. just read the book ya'll. 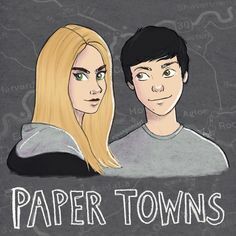 I wouldn't say Margo and Quentin from Paper Towns is an OTP I adore but I did enjoy their relationship much more in the book than the movie. I despise the whole movie in fact. But that's a discussion for another day. This may come across as surprising (because a) this is the biggest TMR ship and b) half of my ships are m/m ha) but I don't really ship Thomas and Newt from the Maze Runner. 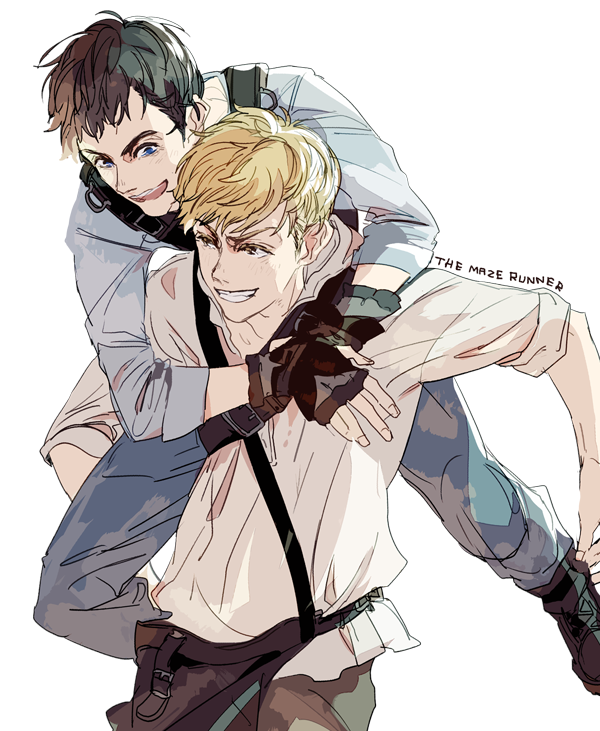 I saw these two (and Minho) as best bros, just trying to survive .. nothing romantic. And anyway *cough* spoiler newt is dead (still crying how about you) and guess who killed him?! thomas so *cough* just throwing that out there. 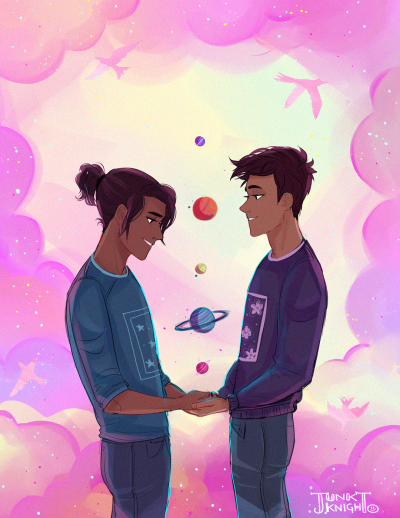 Currently (because I can't pick a favorite) it's Aristotle and Dante from Aristotle and Dante Discover the Secrets of the Universe because I'm aching for their sequel, their movie, their love and hugs plus warmer weather. Whenever I think of summer (aka warmer weather) I immediately think of Ari & Dan and then the world seems alright. I can't pick an all time favorite OTP - no way. I can pick the first OTP that stole my heart! That would be Grace and Sam from Shiver. Such an adorable OTP. Well, there you have it, the OTP tag! It took a while but I had fun with it. Now, who's your favorite BROTP? Most hated OTP? Fill me in! I can't get over how much I want Albus and Scorpius to be canon. They're so cute, I'm so in love with them. YOU DIDN'T SHIP PYNCH?! Omg Anna I never knew this piece of information from you LOL! Thank goodness you changed your mind haha! Gosh I agree with you so much here. Ari and Dante, the Dregs, Albus and Scorpius. 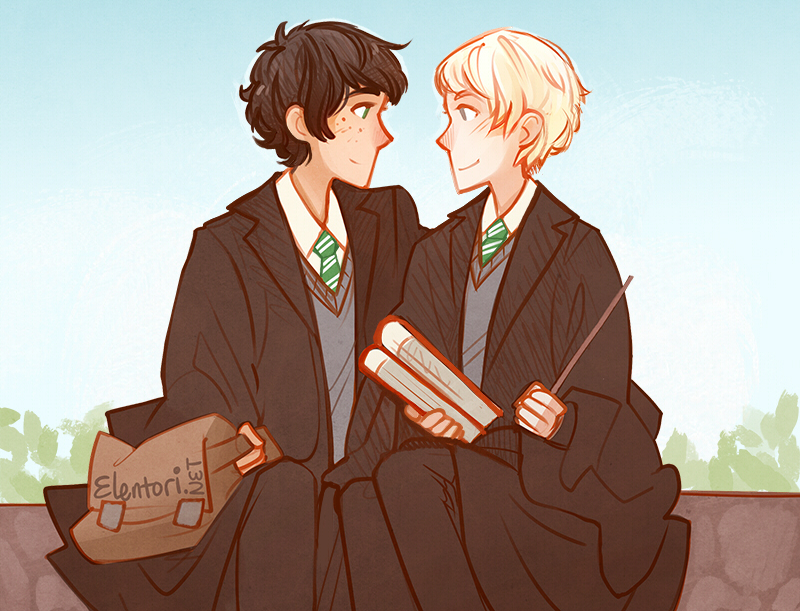 Maybe I would have liked Cursed Child a whole lot more if they were a couple. EMILY I KNOW IT'S TRAGIC WHO WAS I BACK THEN?! I'm so glad. Hmm understandable! 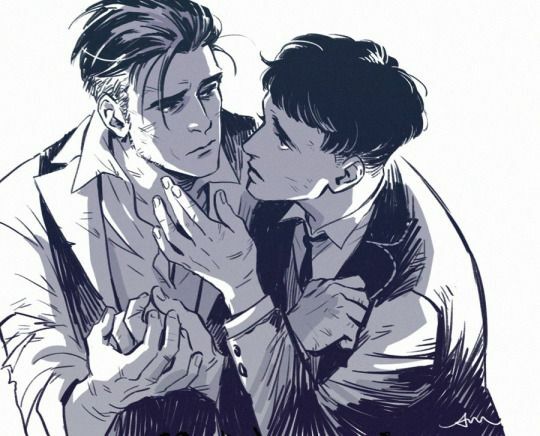 I didn't even realize that Credence and Graves was a ship... why, people? I know right? I'm just disgusted with the fandom. THERE'S A MOVIE FOR ARISTOLE AND DANTE AHHHHHHHHHH!!!! I'm so pumped for this. It was one of the first LGBT books I read (because of my book competition) and the writing was just SO. GOOD. Throne and Cress are also the most adorable things ever. I want to hug them so many times. I KNOOOOOOW I'M SO EXCITED!! Yesss - AADDTSOTU is so beautiful. <3 Me too! This is such a great tag! I agree with you about Credence and Graves. Why would anyone ship them? 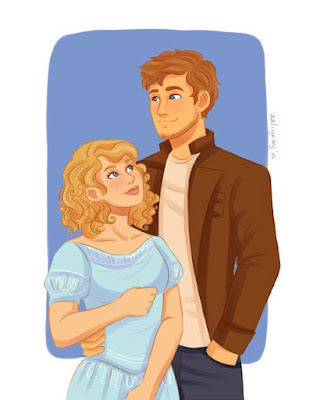 Yes, Cress and Thorne took forever to get together! I wonder the same, Jollygirl. Yay! Ari & Dante are so amazing. Great answers! I also don't know how people can ship Credence and Percival, it's like shipping Hermione and Snape! (and yes, it exist). It's so toxic and Percival never once show kindness to Credence so how could people ship them?? Thank you! Uuuggghhhh I forgot about that ship (thanks goodness). So disturbing! I don't know why, Tasya. I wonder the same thing. Haha me too! Aw thanks and yay!